Asking yourself “what is a VPN server?” is a worthwhile question to ask. Although there is nothing about a Virtual Private Network that cannot be found in other methods of achieving network connectivity, there are certain unique benefits to having a VPN server that makes it an ideal choice for many individuals. By answering the question of “what is a VPN server”, you will be able to determine whether or not a VPN server is needed in your case. As a type of WAN (Wide Area Network), a VPN is widely-utilized form of gaining network connectivity. In many cases, the physical distance of a VPN can be extremely long. With a VPN in place, that physical distance will not be a problem, and you will be able to take advantage of the many benefits that come with having a reliable WAN in place. Some of these benefits include being able to hold conferences via video, being able to share the various file types that are used the most often in your day to day life, and much more. The primary benefit of a VPN server is the ability to take full advantage of network connectivity, but doing so in a way that is usually much lower in overall costs. A VPN server is also far more efficient in most cases than other methods of network connectivity. One of the main benefits of having a VPN server is that it’s capable of working with both private networks and public networks. Through the method known as tunneling, VPN puts into action the same infrastructure of hardware as internet and intranet links that are already in existence. A VPN server will also feature a number of security measures, in order to ensure your private network is well-protected from any threats that may come along. For a VPN server, there are generally 3 differing modes of how it can be used. Client networks that are used to create remote internet access points. Internetworking that is created from one LAN to another LAN. Access that is controlled, and created with an intranet. Each mode has its own distinct advantages and disadvantages. For example, an intranet or local network VPN does not use an ISP or public network cabling. What it does do is give a business a way to keep their WiFi local network protected. The internetworking solution allows for one remote client to connect to a differing company network. This then creates a more expansive intranet. Remote access allows workers within a company to stay connected to their company network, regardless of where their busy work travels take them. It’s easy to see that depending on your specific needs, you can find a VPN server solution that will be ideal to your situation. The benefits of establishing your own VPN server will depend upon which mode you wind up choosing. In order to enjoy the very highest level of those benefits, it’s important to make sure you choose a VPN server that’s going to work for your interests. For businesses and organizations, a VPN server is an excellent way of creating a secure network that allows for file and other informational exchanges. 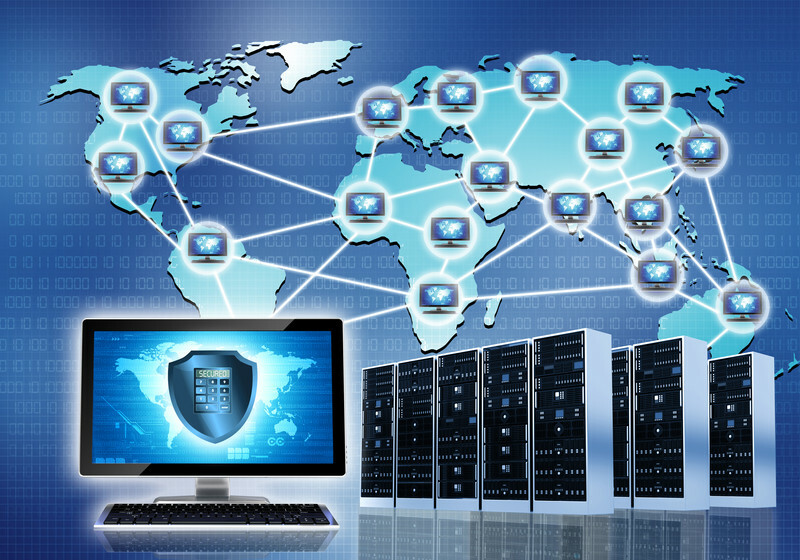 A VPN server has several benefits related to the overall costs. With a VPN in place, you can get rid of your need for costly long distance leased lines, dramatically lower your long distance phone charges, and even offload any support expenses you may need. The need to connect remote or international areas is considerably easier with a VPN server. A VPN takes advantage of the network capabilities and public lines already available in the area, all but eliminating the scalability problems other network solutions often have to deal with. The negatives of a VPN server are minimal. However, it’s important to remember that any VPN server you create will require careful attention to installing and configuring the server. You will also want to be keenly aware of network security concerns that may come up. You’ll also want to avoid the temptation to combine VPN solutions and products from varied vendors. This is largely because the way one vendor follows technology standards of a VPN server may not be the same as the way in which another vendor follows those same standards. There are several other things you will want to consider with a VPN server. Although the learning curve for this solution can initially seem a little on the complex side, emerging trends in VPN technology is making the overall process easier to implement than ever before. The advantages are becoming more and more considerable and impressive every day. We are an independent VPN review site aimed at helping web users make smarter decisions when choosing a VPN service. AnonymousVPNService.com is independently owned and operated. The reviews are based on our own experiences and the opinions expressed here are our own. We receive compensation from some VPN companies. This does not, however, influence the reviews on our website. We only recommend providers who deliver the results expected of a good VPN provider. What Is A Personal VPN Used For and Do You Need One? IPVanish Review – Does It Protect Your Online Identity?